Omar Bravo, a Woodside sophomore, plays Fortnite on his phone. Fortnite, a battle royale style game, is rapidly gaining popularity among Woodside students after its mobile app for Apple phones launched on March 15. In Fortnite, a player drops onto an island filled with weapons, competing with 100 others to be the last one standing. Already, it tops the iOS charts in 13 countries. “I’ve heard about it all around,” remarks Omar Bravo, a sophomore at Woodside and an avid Fortnite player. However, the app requires iOS 11, which some students don’t have. Those with the update can download the game for free, which bolstered its popularity. Devoted players can purchase optional packages in-game. Many people view Fortnite as a place to meet up with friends and a way to socialize. “All my friends play it, and I connected with a lot of people I know through it,” sophomore Kyle Taylor adds. Still, the social aspect of the game is not the only thing that keeps students coming back to the app. Evidently, many other players feel the same way: even before the release of its mobile app, Fortnite accumulated over 40 million players. 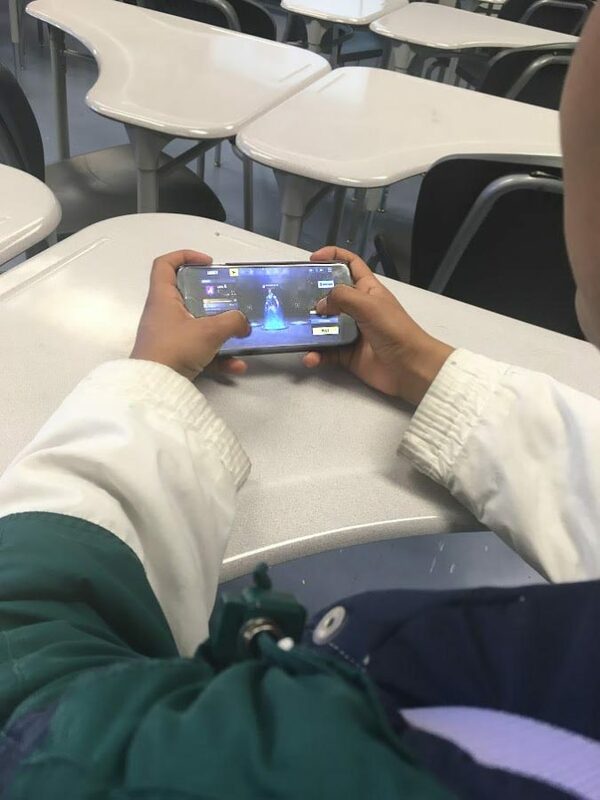 To some students, Fortnite is not just a game, but a lifestyle.